Walser invests in the people and organizations in the communities in which we live and work through charitable giving and volunteerism. Walser Automotive Group donates 5% of pre-tax earnings to the Walser Foundation and is a proud member of the Minnesota Keystone Program. Mission and Focus – We believe that every child deserves a bright future, and every person should have the opportunity to reach his or her full potential. Access to education and career training make this possible. The Walser Foundation provides grants to organizations that benefit education at all levels, as well as those organizations that help build a strong workforce for the future. Our mission is to increase access to high-quality programs – from pre-K to post-secondary – in the Twin Cities and Wichita communities. 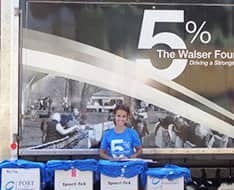 Eligibility – The Walser Foundation provides grants to organizations that are tax-exempt and publicly supported under Section 501(c)(3) of the Internal Revenue Code. Contributions will not be made in support of: individuals, loans or investments, political or lobbying organizations, and sectarian/denominational religious organizations, except where funds are to be used in direct interest of the entire community. The Walser Foundation primarily makes operating and program grants. Capital grants will receive a lower priority and will largely be made to organizations with which we have a history of support and/or significant employee involvement. Organizations are limited to one application per year. For event sponsorship requests, please complete and submit the Event Sponsorship Form. The Walser Foundation requires that all sponsorship requests be submitted a minimum of 60 days prior to the event date. Grant Application Process – The Walser Foundation requires all organizations seeking funding to submit a letter of inquiry (LOI) to Nancy Warner, Foundation Direction, at nwarner@walser.com or mail to her attention at Walser Automotive Group, 7700 France Ave. S., Suite 410N, Edina, MN 55435.The Walser Foundation will not respond to funding inquiries that clearly fall outside our stated areas of interest, and we do not accept unsolicited grant applications. Once we have reviewed an organization’s letter of inquiry, a link to the grant application will be provided when deemed appropriate. Deadline for submission – May 15, 2018 is the application deadline for funding requests and event sponsorships for July 1-December 31, 2018; October 15, 2018 is the application deadline for funding requests and event sponsorships for January 1-June 30, 2019. To learn more about the Walser Foundation grants and sponsorship programs please email our Foundation Director, Nancy Warner, at nwarner@walser.com. 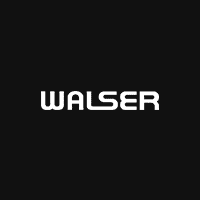 To learn more about what we’re doing in the community, follow Walser Automotive Group for more events, photos and news.